Rule One declares "All guns are always loaded". For some, the thought that they may not be is heresy. For others, the thought that all guns are always loaded is ludicrous. Is a pistol loaded with the magazine out and the slide locked back? Most ranges stipulate a pistol laying on a table in such a fashion, where the Range Officer can see an empty chamber, is the only one safe enough to venture down range from. Likewise, a revolver with the cylinder swung out is considered to be a safe weapon. When the Range Officer is able to see daylight through all six chambers of a revolver, is it loaded? Is a pistol that is field stripped with the slide sent off to Novaks for new sights loaded? These are extremes, but Rule One does state that All guns are always loaded. Here is what Jeff Cooper had to say about Rule One. Yet even Colonel Cooper, the founder of Gunsite and the modern technique of combat handgunnery allowed himself to be photographed violating multiple rules, of which he is the author! He later expressed regret for allowing a reporter to take that photo, and said it gave him a queasy feeling each time he saw it. So at what point do you agree that a gun is unloaded? Do you constantly check your guns again and again like an obsessive compulsive checking his zipper? Do you get upset if the mailman leaves a package containing a new Kart 1911 barrel with the muzzle pointing in the wrong direction? Everyone who is going to be around guns has to reach a point where they can agree that a gun is safe. I recall a time when I was newly married. Several friends and I were sitting around a table discussing a friend's new pistol. Each time one of us picked up the pistol, we press checked it, talked a bit while maintaining muzzle discipline, and put it back down. The conversation remained cheerful until my wife decided to clear the table to prepare for dinner. She had recently been taught by me to always check that chamber. She picked up that pistol, pulled back the slide, and was horrified to see a live round pop out. "It's loaded!" she shrieked. "Yeah honey, it's been loaded all day." I replied. Everyone at the table knew the pistol was loaded. Everyone had checked it for themselves as soon as they laid a hand on it. Nobody was surprised because we all expected it to be loaded. Only my wife was surprised, because she assumed it must not have been loaded after so many people had checked it. Thankfully, she checked it herself. So, here is my way. I consider all guns to be loaded until I, myself, have personally checked them. If that gun leaves my hand, I check it again when I pick it up. If I have been holding the gun and became distracted, I check it again. If that gun has been sitting locked in my safe, I check it again when I pick it up. If that gun has been in my holster all day, I check it again when I put it away. 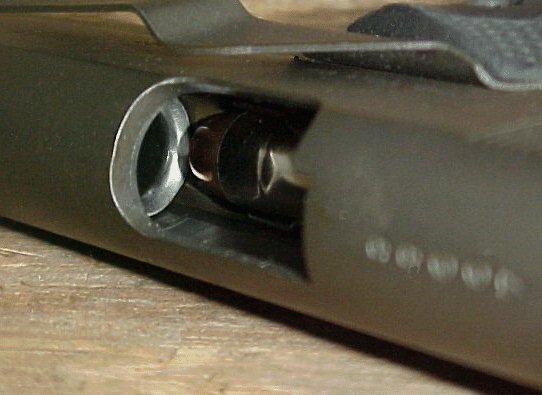 The proper way to check a pistol is to drop the magazine, lock back the slide, and look into the chamber. Some people, including myself, will even place a finger into that empty chamber, as the tactile sense helps cement the memory of an empty chamber in the mind. For a hand ejector type revolver, the cylinder must be swung out and each chamber inspected. On a single action revolver, the gate must be opened and the cylinder spun around. A break top revolver must have the top opened. A shotgun requires that the chamber be opened and the chamber and the magazine checked. A bolt action rifle requires the bolt to be open. 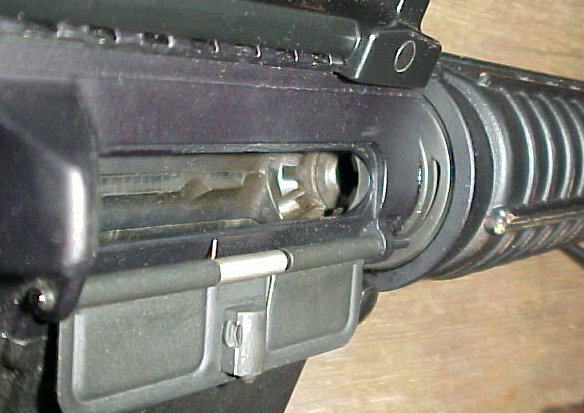 An automatic rifle requires the magazine removed and the bolt to be locked back. If I am handed a weapon that I do not know how to make safe, I do not accept it, unless the person handing it to me knows nothing about the safe handling of firearms. In those circumstances, and they do occur, I figure the gun is safer in my hands than theirs. If I have just checked a gun's chamber, verified it to be empty, and it has not left my hands, I consider it safe. Notice.....Not unloaded, but safe. Not safe to point at anything and everything, but safe enough to dry fire. Safe enough to check the bore. Safe enough to carry out the many tasks a gun owner must sometimes perform that violate the four rules. In the end, like Colonel Cooper says, what the gun handler wants is to never have to say "I didn't know it was loaded." To prevent that from occuring, you must know what you are holding. To know what you are holding, you must check the chamber yourself. Failure to do so could alter your life forever. I had an ND about 15 years ago. I still remember my feeling of complete shock, surprise and horror. It was a very instructional experience. Luckily, all I did was shoot a hole in some furniture. I sometimes feel a little odd obsessively checking the chamber on a gun I already know is safe, but your post made me realize that it was simply a good habit to develop, and maintain. Excellent post, excellent blog. Well done. Stories about the Colonel around southern CA include the one about him arriving at the public range and taking several rifles out of his trunk and when asked if the were loaded he said "of course they're loaded. What use is and unloaded gun?" I always wonder how folks who refuse to accept an unloaded gun can funciton in gun stores, or god forbid, gun shows. If I'm handling a firearm, I check it. If I'm going to dry fire it, I check it twice. I don't check my carry gun while taking it off or putting it on, it's loaded, period, unless it's being cleaned or at the range. All of my handguns are stored loaded. I firmly believe nothing is more usless then an unloaded handgun. They are loaded, in holsters, where i know there they are. The long guns I keep for defensive purposes are kept chamber empty, bolt back for the AR's, slide unlocked for the shotguns. Nothing covers their triggers, and I have pets. If mr kitty can drop the bolt and then pull the trigger, I'll be impressed. Funny, I'm not the only one that sticks their finger in a chamber to double check. I've been known to do the same with a 12 gauge shotgun..
Just last week I was handed a pistol. I proceeded to verify it was clear. It was'nt until after I cleared the magazine well, racked the slide and checked the chamber that I noticed there was no hammer, no trigger, no safety, in fact, no works in the weapon. This one rates some linky-love. Cooper is shooting a High-Power! He sure is! That's great. Okay, everything you've said about guns is true and pretty much matches my own philosophy, as far as guns go. Take a closer look at Col. Cooper, though. 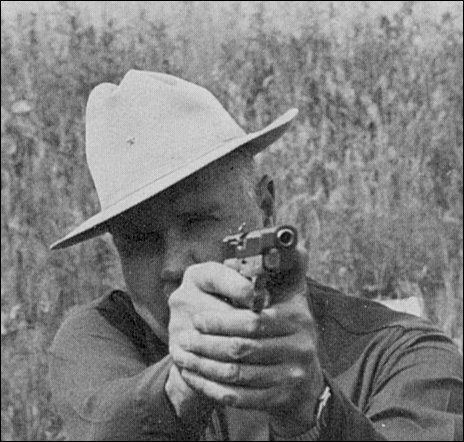 Hint: that's really not Jeff Cooper, nor is that a real gun. They're just pixels arranged on your computer monitor in the image of Cooper and his gun. It's strange how you think so much of Cooper that you haven't included that pic in an Idiots With Guns episode (or have you?) but you give no one else the benefit of the doubt. Apparently only Hollywierd gets a pass as far as depicting the business end of a shooter, right? "We're the Only Ones Magical Enough. Don't try this at home. We're Experts! And Union Members!" Or did Dirty Harry make you hyperventilate? Regarding the story of the friend's gun, maybe you can explain to me why it was okay for the gun to be loaded? I mean, I get why some might keep a gun loaded in the safe or even transporting it in their car (I guess), so long as it was under their control. But the friend's gun was being handled and passed around as a conversation piece. Why did it need to be loaded for folks to fondle it? I would never, EVER, let a group of my friends - no matter how experienced with shooting - sit around picking up and handling any of my firearms while they were loaded. Feel free to handle it as much as you like, after I've unloaded it. Why should I do otherwise? Unless you don't mind the chance some inexperienced person makes the same wrong assumption that your wife did. I'll go even further, and no doubt piss off some gunnies here - if you hand me a loaded firearm, unless it's your personal defense weapon and it's going straight back to your hands I'm going to unload it myself (if I can do so safely). No way and no how will I pick up and examine, critique, handle, ponder, and/or fondle a loaded firearm. The percentages just aren't in it. Don't like that? Don't give it to me. Quite the little beehive around here today! My addtion to the swarm? Essentially, all my firearms are always loaded. Not just "act as if they are loaded", but will actually have cartridges in them 100% of the time. ALl of my "shooters" are this way. The "safe guns" typically are not. So, for all intents and purposes, if you see a PERSONAL firearm at my home or job, you can assume it is at full capacity. I have been "like this" for years now, and it is a habit I have instilled in Sugar Cat since she took up shooting and got her Glock. "It" is always loaded, and shall be loaded, unless there is a damn good reason to unload it. SOme will ridicule and some will understand, I I am not here to convince or be convinced. Anytime I and another person are exchaning firearms for inspection, bragging, or other similar purpose, I want the thing to be unloaded and chamber open or otherwise disabled mechancially from firing (more than just the safety) when it is passed around. Once you have it in your hands and you have checked it for being "empty", feel free to close the action and then do your hearts desire within the "Four Cardinal Rules". But when you pass it back to me or another person, open the action or whatever is appropriate to the indivdual firearm. The two people, other than Sugar Cat, with whom I do most gun handling with are very good about this to the point of it almost being comically redundant sometimes. I refuse to load a weapon for another indivdual or let one load one for me (say at a range or similar location) nor will I even load magazines. If someone is shooting one of mine for the first time and they are unfamiliar with it, I will insert the magazine, but will have them load the cartridge and manipulate the safety. As far as the Idots With Guns pics go, I have placed a camera downrange and taken vids of myself and Sugar Cat shooting. I suppose the camera could be damaged or destroyed (although I try to place it out of the direct line of bullets and shrapnel), but it is a chance I am willing to take on occasion for several reasons. One reason is because the vids are kind of cool just for coolness sake, and it also allows me to get a direct view of what my form and stance looks like, and lets me see things about them I am not aware of. I have taken a lot of pics and vids at the range, and we try to be safe with that in terms of angle and location so that we are not in any more danger taking pics than we would in just shooting around another person. I have taken a picture of myself with an AR-15 "pointing at the camera" to check my stance and posture. It could easily show up as an "IWG" pic, even though it was a completely "safe" pic to take. But that does not mean that anyone else viewing the pic would know my intent or the safety factors (or lack of them). Anyhow, no suggestions or solutions or rationalizations for anyone or anything. Just my mileage. I don't feel so compulsive anymore. I was dryfiring my Ruger GP 100 in front of the TV and would open the action and check the cylinders every time I put it down and came back to it. I did this even though I was the only one home at the time, just a habit, but a good one. I found myself doing the same thing when showing someone my Marlin 1894C lever action, I was the last one to put it in the safe (unloaded) but still I worked the action before showing my friend. Again good habits like bad ones die hard. And as someone else mentioned, LawDog has a really funny post on this topic worth reading. It's always good to be reminded, in fact the last time I checked the house gun in the safe, it was loaded. Sheesh - right after posting that comment I was reminded of why I woke up in the middle of the night - I had a dream that I remember now. I had to unload a 1911-type semi-auto. It had a chopped-grip (Commander?) with an alloy Caspian slide - on the back of the slide where the grasping grooves are cut was engraved an oval with "Caspian" in italics. Each time I dropped the magazine and cycled the action a round came out, and I put the gun down and picked it up and cycled the action and a round came out, and I did it again without inserting the magazine - it kept happening in the dream. The gun was always loaded. The repetition was a bit unnerving. No wonder I woke up. My buddies well remember that during the infamous "I shot Marvin in the face" scene of Tarantino's Pulp Fiction, I reflexively clutched the arms of the movie theater's chair and tried to twist both it and me out of the firing line of that gaping muzzle on the screen. I remember mentally cursing the director for a fraction of a second for encouraging stupid gun handling -- and then grinning once the gun went off and Marvin (i.e., the audience members) had indeed been shot in the face. What an excellent object lesson in proper gun handling was cemented into the popular culture that day! I still use that example when teaching newbies the Four Rules. Thank you, Mr. Tarantino! Well, I don't know which attitude is worse: Guns are Evil Horrible Monsters & They Alone Create All Problems in This World, or Guns are malevolent demons who thirst for the slightest chance to kill you. Well, okay, I do know which is worse, but they're both silly. An unloaded pistol is simply a collection of machined parts fitted together. It has no battery, no energy source, no poisonous fumes, no malevolent will-to-kill... if it has No Bullets, it's No Problem. Once you've made darn sure it really is unloaded, you can clown around with it all you like. Inculcating a mindset of care is one thing - any automotive mechanic would agree - but insisting that something is, which is not, (All guns are always loaded! With invisible bullets! Really! ), ah, creates certain credibility issues with the general public. My friend and neighbor was a cadet in the Kennesaw, GA. P.D. Her jackass instructor shot her in the chest in a classroom with 30 odd other cadets was witnesses. She died as a direct result of his failure to LIVE by rule #1 as well as other idiotic techniques for training his students. He's still a cop and on "paid administrative leave" (vacation). ALL, and I by God mean ALL guns are to be treated as though they are loaded regardless of their ammo status. She was 23... Tara Drummond look it up. As for me, I never keep any firearm loaded. I store the gun, the clip, and the bullets all separately. Mostly because I just do target and sport shooting. I have no reason to keep a gun for self defense etc. I have a Katana for that. Just the other day I was at the local outdoor supply store checking out a S&W M&P .45. The clerk takes the gun off the pegs, clears it, and hands it to me. I clear the weapon as soon as it hits my mitts, including checking the chamber with a pinkie. Most of the time, especially in gun stores, the clerk will give me an odd look, like I'm some kind of an idiot for clearing a weapon I just watched them clear. On the other hand, I've seen more than one ND because of someone trusting that another person had cleared a weapon. FIRST thing you should do with a weapon when you take possession of it is clear it. I had that hammered into my head in Basic Training years ago (1986), and prior to that by my father. It's not a bad corollary to rule 1. Good job on all of the "rules" entries here at your blog, and nice job overall. Thanks for some good reading. Thanks Xavier for this informative blog. There are different firearm safety rule and it is important to learn these rule from a good instructors which help you to cover rules thoroughly, step-by-step manner and help to operate the gun well.